Our route took us through the state capitol, Carson City, then east on US 50 "The Loneliest Highway". Along US 50, we stopped at Sand Mountain Recreation Area, several Pony Express Stations and over nine mountain passes before reaching Highway 93 just east of Ely. From there we will swing into the Great Basin National Park before heading south on Highway 93 which is also known as the Great Basin Highway. We visited Cathedral George State Park and Delamar Ghost Town on our way south. After an overnight in Mesquite, we visited Logandale, Valley of Fire State Park and Nellis Dunes before stopping in Las Vegas. We made a trip over to the Hoover Dam for a tour, then did some tourist stuff in Las Vegas for a few days. Heading back north, we visited the Amargosa Sand Dunes, Beatty, Rhyolite, Clay Valley Dunes, Tonopah, Crescent Dunes, Hawthorne and Yerington. Near Yerington we headed off-road to see the ghost town of Pine Grove before looping back up towards Carson City. 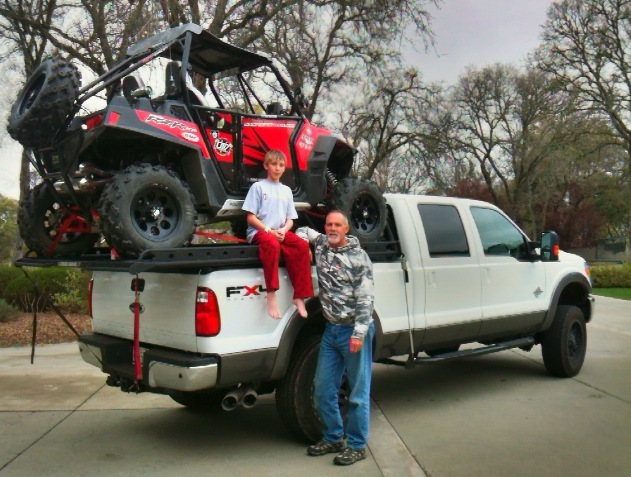 The truck is a 2011 F350 Superduty crew cab shortbed. The rack was built by Roggy Enterprises, and the truck features frame mounted camper tie-downs up front, air bags and a 2.5" ICON Vehicle Dynamics leveling kit. Air bags are a necessity and the ICON shocks really made the ride super plush. We thought quite a bit about what to take on this trip (motorhome+trailer, truck+trail or truck+rack) and this setup was absolutely the perfect solution for this trip. We drove about 200 miles on dirt roads and in some tight parking lots that would have been a challenge with a trailer and impossible with a motorhome. The biggest downside is the cost of the motels (I do like shower and a bed though....). Sand Springs Pony Express Station - Covered by sand for over a hundred years, Sand Springs Station lay undisturbed until 1976. It was rediscovered by a team of Archaeologists, then excavated and stabilized in 1977. The Pony Express holds a special place in the imagination and folklore of America. The "Pony" lasted only 19 months, from April 1860 to November 1861, but it quickly became a legend. At a time before there were airplanes, telephones, railroads or even a telegraph, the Pony carried the mail 2,000 miles in just 12 days in the summer and 14 days in the winter. As the Civil War loomed, it provided the Union with a vital link to its far-flung Western territories, including the silver mines of the Comstock and the gold fields of California. Sand Mountain Recreation Area, Nevada - Located in Churchill County, just north of U.S. Highway 50, "The Loneliest Road in America," Sand Mountain is 25 miles east of Fallon, Nevada. 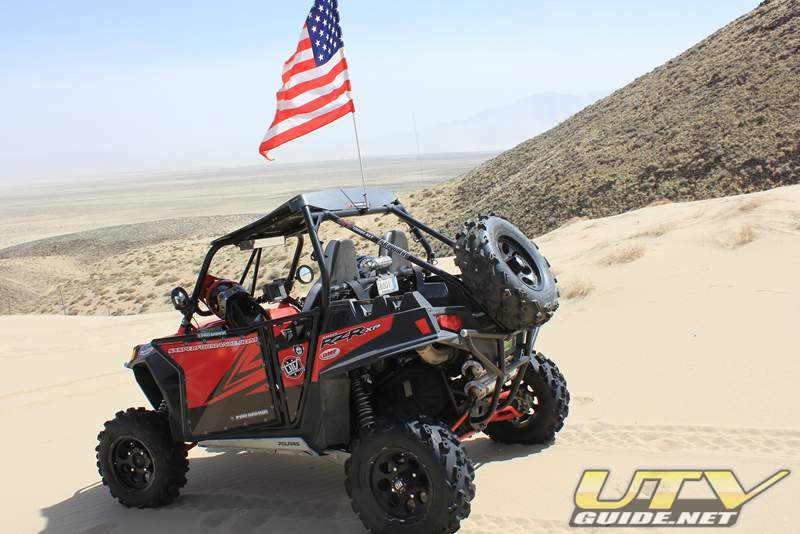 Managed by the U. S. Department of the Interior, Bureau of Land Management (BLM), the sand dunes of the 4,795 acre recreation fee area provide challenge and excitement for off-highway vehicle riders, hikers & sandboarders. Logandale Trail System - Located about 65 miles northeast of Las Vegas, the Logandale Trails System covers 45,000 acres of desert, washes and vivid sandstone cliffs west of Logandale and north of Valley of Fire State Park. The Logandale Trails System (LTS) contains over 200 miles of trails, suitable for a variety of OHVs. 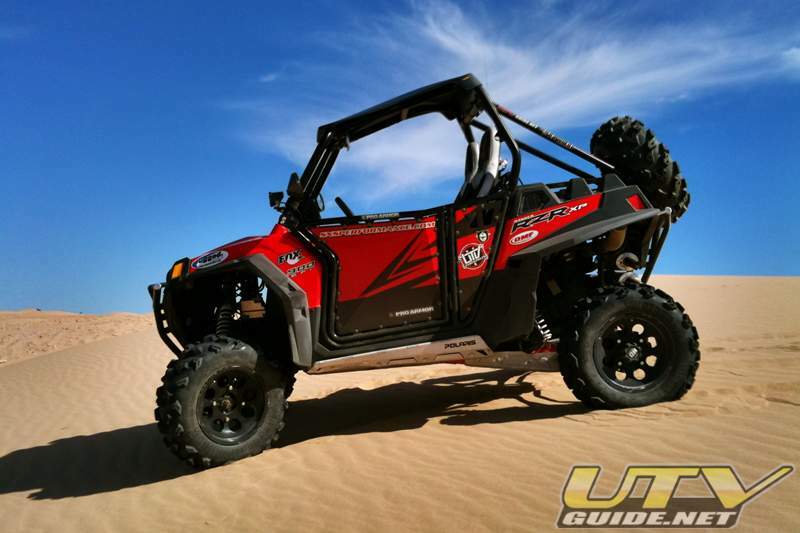 Sand, rocks and desert trails make this a great place to explore in a UTV. We will definitely be back! Nellis Dunes - The dunes are just north of Nellis Air Force Base and only 15 miles northeast of Las Vegas. 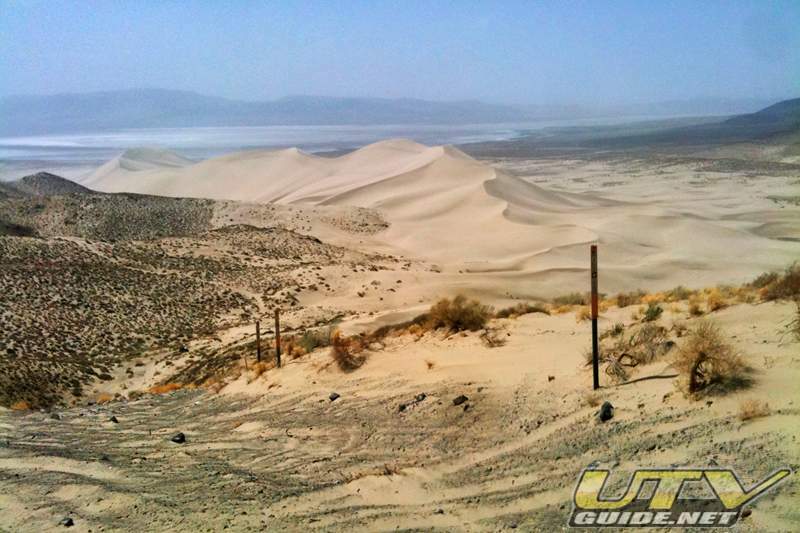 This area has been proposed as a Clark County OHV Park, but is currently controlled by BLM and is mostly day-use. Amargosa Sand Dunes - Amargosa or Big Dune is a playground that covers about five square miles of dunes, and its centerpiece is a peak that tops out at 500 feet. 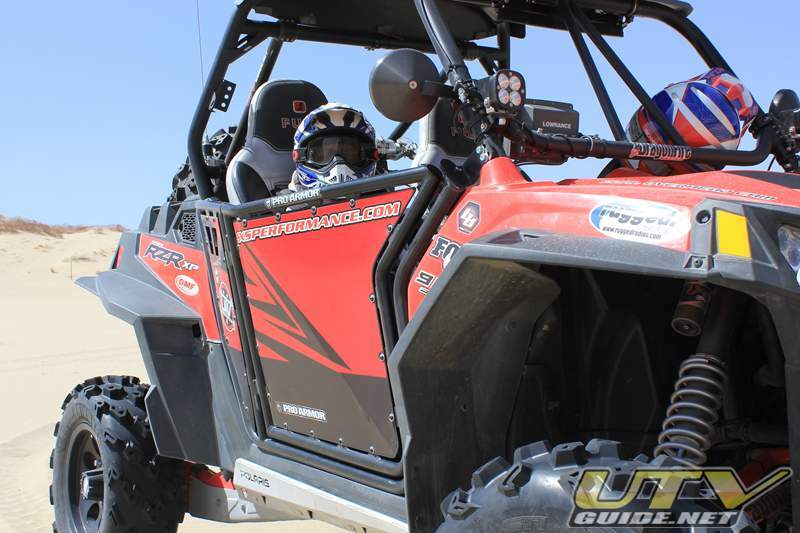 Expect to find steep hill climbs and sharp ridges at the dune which is located about 100 miles northwest of Las Vegas. Clayton Valley Dunes - Clayton Valley dune field is located in the southern part of Clayton Valley, 7 miles south of Silver Peak, Nevada, and is accessible via dirt/gravel road. This is a very remote dune with very little use. If you like to dune all by yourself, this is the dune to visit. Crescent Dunes - This small dune complex near Tonopah is often deserted. Mostly used by local riders. There are no signs, and the area feels very remote. These dunes form under winds that blow consistently from one direction and form crescent shaped dunes.